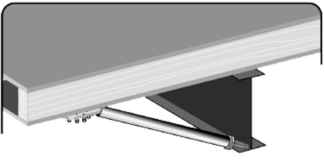 Adjustable outriggers attach to the I-Beam of your home and extend to the perimeter frame. They are perfect for adding support to sections of your home that may be carrying additional weight, such as fireplaces and door ways. Often these areas do not have piers or blocking under them. Adjustable Outriggers make the perfect substitute where blocking is not present. They are very easy to install and cost effective. 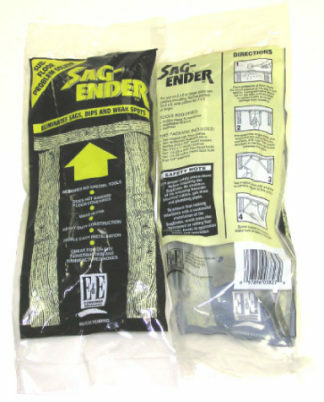 The Sag-Ender eliminates annoying sub-floor sags, dips and weak spots. It’s quick, easy and cost effective to install. Support system that will permanently eliminate these problems in minutes as opposed to the hours that were spent in the past. Only tools needed for installation are a Phillips head screwdriver, rubber mallet and hammer. 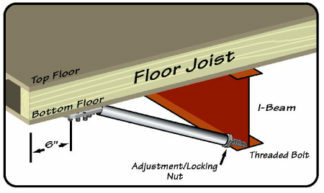 Whether the joists supporting the floor are 2"x 8" or 2"x 6",on 16" spreads, the Sag-Ender adapts automatically. Narrow pattern for 2×6, wide pattern for 2×8 or larger. Does not damage floor coverings! No need to rip up carpeting and vinyl. Great for both on-site construction and manufactured homes. 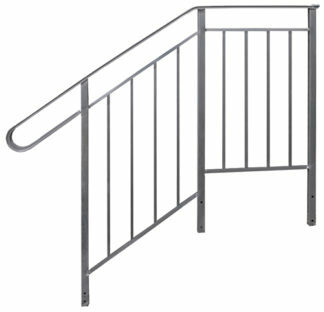 Cost effective and is fast becoming the only solution for contractors and builders nationwide. Flex-Patchtm is a revolutionary new mending product that matches the appearance and texture of bottom closure materials used by most manufacturers in the mobile home industry today. Flex-Patchtm is a woven polyethylene film currently meeting all requirements (except as noted below) for use as bottom board by the mobile home industry. 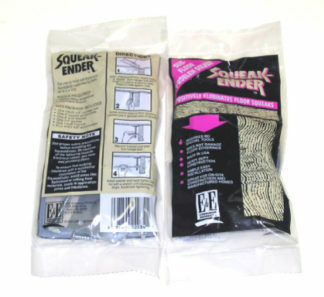 It has been solid-coated with specially formulated high-tech adhesive, and has an easily removed paper release liner. It goes on like a band-aid. When placed over holes and tears, the entire Flex-Patchtm patch bonds tightly to the bottom closure material PERMANENTLY. Immediately following application, flex-patches are almost impossible to remove without destroying the patch and/or the surface to which it is bonded. During the next few hours, adhesion becomes stronger and stronger. Repair holes, cuts and tears resulting from plumbing repairs, weak seams and damage by cats and other animals quickly, neatly and permanently. Flex-Patchtm is also waterproof and unaffected by cold and can be applied in below-freezing temperatures.